Jazeman concluded his pre-season testing programme this week and prepares for the first round of the Formula Renault 3.5 Series which kicks off at Motorland Aragon in Spain in three weeks time. Jazeman has spent the ‘off-season’ preparing for his 2015 racing campaign, testing in GP2 and Formula Renault 3.5 Series at the end of 2014 and then focusing on his return to FR3.5, the headline championship of the popular World Series by Renault race weekends. Moving to experienced race team, Fortec Motorsports, for his third year in the FR3.5 Series, Jazeman has enjoyed two very strong tests in the last couple of months. 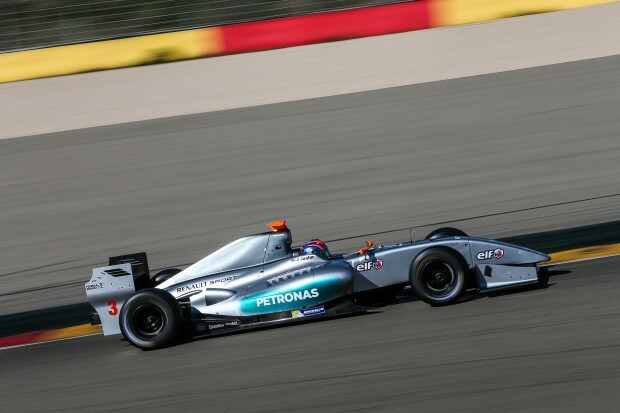 The final test concluded yesterday with Jazeman posting fourth fastest time on the first day and fifth fastest lap on the second day, boosting the young Malaysian’s confidence for the season ahead. The opening round of the Formula Renault 3.5 Series at Motorland, Aragon, is the first of nine race weekends in this year’s championship.